That may change with the U.S. introduction of Elave — rhymes with "gave" — a skin care line straight out of the Emerald Isle. The 10-product lineup is heavy on basics such as cleansers and lotions, hitting the needs of oily, dry, and aging skin types — and the range is a boon to those with sensitive skin, as it's free of sulfates, parabens, phthalates, alcohol, and formaldehyde. (They're also fragrance- and dye-free, if you're counting.) What you will find in the mix: active ingredients that fight environmental stressors and premature signs of aging, such as glycolic acid, vitamin C, and ginseng. Could this be the beginning of something big? Considering the reasonably priced products and the growing number of people who don't want parabens and sulfates in their skin care, Elave is poised to make a considerable Stateside splash. Plus, c'mon, they're Irish — they do have luck on their side, after all. 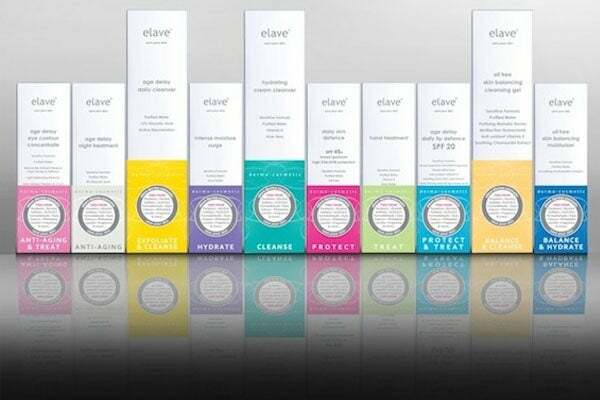 Elave skin care, $8–$40, available at Elave.